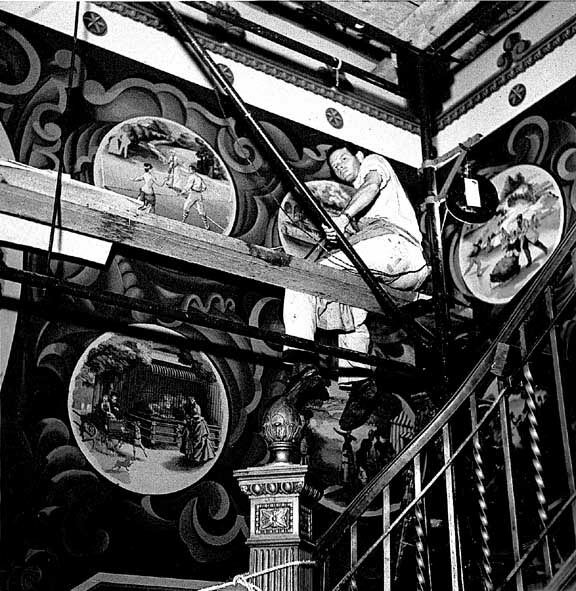 Floor-to-ceiling murals in the Arsenal lobby by Allen Saalburg (1899-1987). 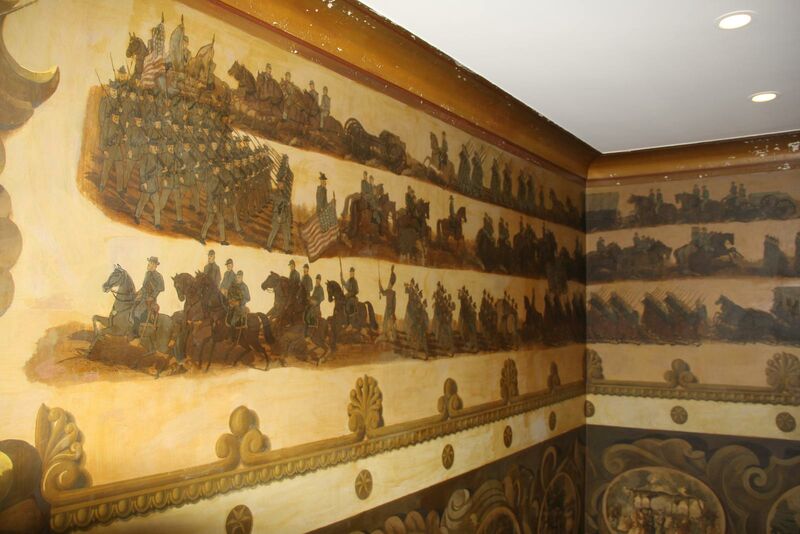 This panel at the north end of the room shows Civil War scenes. In 1935, Juliana Force, the director of the Whitney Museum and organizer of the first Federal Art Program in New York, introduced Saalburg's work to the parks commissioner, Robert Moses, who put him in charge of the WPA mural projects for the entire parks department. Projects included the Old Stone House at Gowanus in Brooklyn, the Arsenal in Central Park (where Moses had his office), the barroom of the newly created Tavern on the Green, and the terrace restaurant at the zoo. Allen Saalburg entry in askART.com. Allen Saalburg Obituary, New York Times, July 28, 1987.